KNOXVILLE -- After hearing about 70 speakers support or oppose nuclear power and the completion of the half-finished Bellefonte Nuclear Plant, the TVA board voted unanimously on Thursday to restart construction. 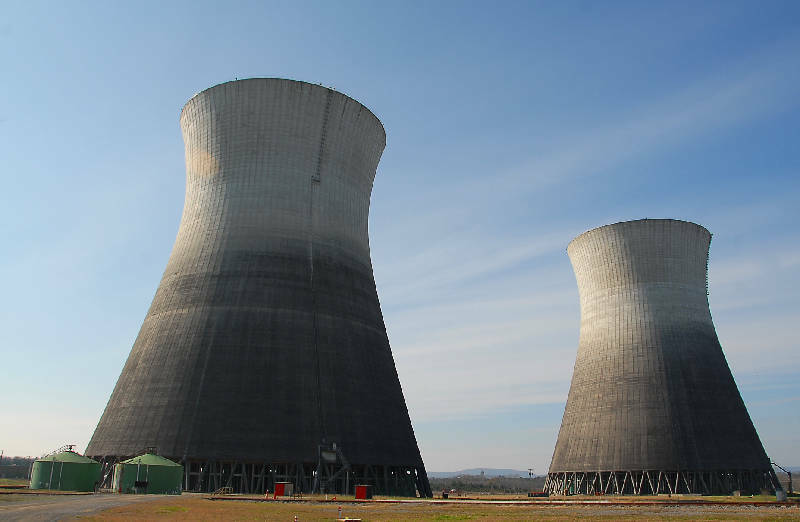 The nine-member Tennessee Valley Authority board also authorized paying for Bellefonte's completion by selling the nearly complete Watts Bar Unit 2 nuclear reactor in Rhea County and the John Sevier gas plant. TVA President Tom Kilgore listens to public comments Thursday. Photo by The Knoxville News Sentinel /Times Free Press. TVA President and CEO Tom Kilgore said TVA would lease the plants back and operate them. Chief Financial Officer John Thomas acknowledged that the lease transaction would raise costs for ratepayers, but said those would be "significantly less than us doing rate increases to pay for it." 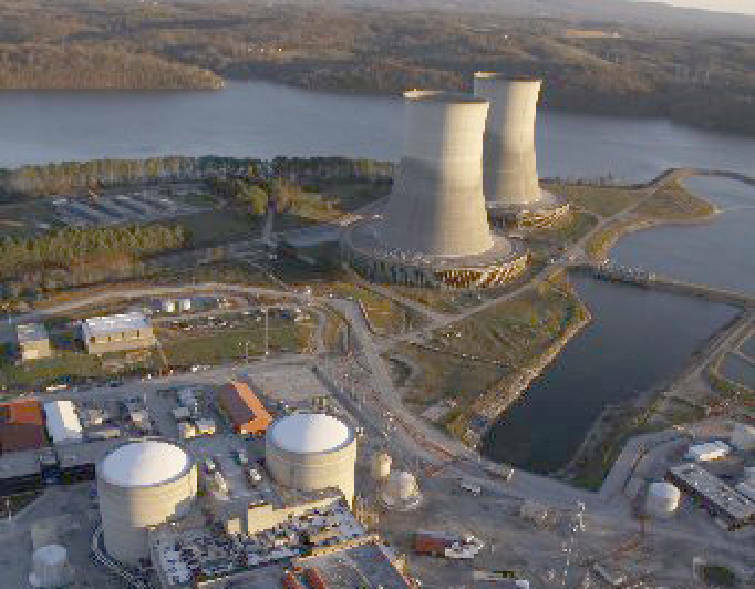 Bellefonte's construction will not begin until Watts Bar Unit 2 is complete, likely in 2013. The North Alabama plant will generate 1,260 megawatts, enough to power 750,000 Tennessee Valley homes. Construction will create 2,800 temporary jobs and operation will create 650 permanent jobs, TVA officials say. TVA Board Chairman Dennis Bottorff called the vote the "right thing to do." 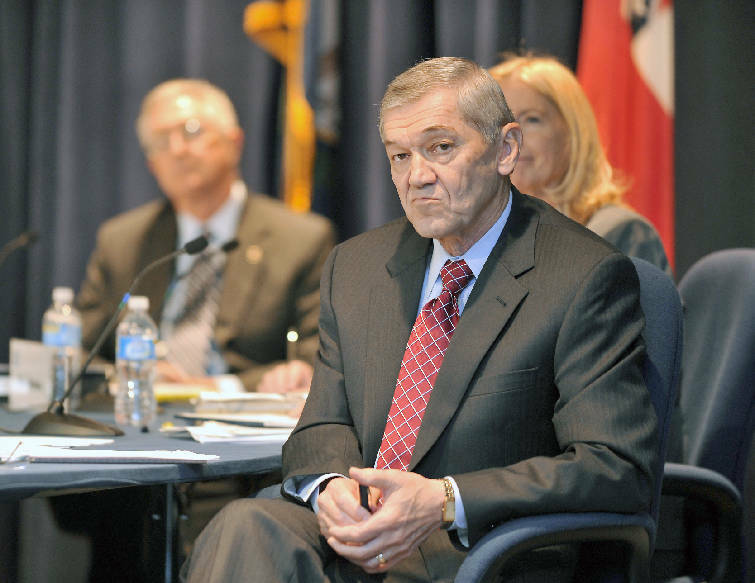 Board member Mike Duncan said the decision was difficult, especially after the March disaster at Japan's Fukushima Dai-ichi nuclear plant following an earthquake and tsunami. Duncan also mentioned the "red" or "high safety significance" rating the Nuclear Regulatory Commission gave TVA's Browns Ferry plant after a cooling-water injection valve failed last year. "From the changes after Fukushima to the red rating to the changes of (TVA) personnel, all these things were red flag to me that we should slow this thing down, but the staff and advisers brought me around," Duncan said. Bellefonte was started in 1974 and has cost more than $4 billion so far. Construction was stopped in 1988, and TVA has estimated it will cost another $4 billion to $5 billion to complete the plant. The Sequoyah Nuclear Plant near Soddy-Daisy sits next to the Tennessee River. Also Thursday, the board voted to extend for 20 years the Sequoyah Nuclear Plant's operating license and put new air scrubbers on the Allen Fossil Plant southwest of Memphis and the Gallatin Fossil Plant in Gallatin, Tenn. It also voted to acquire the Magnolia Combined Cycle Gas plant in northern Mississippi. Kilgore said the unanimous approvals show "how much dedication the directors put into this" after TVA delayed the Bellefonte vote at its April meeting. That meeting was held a few weeks after the Fukushima disaster. "They [directors] started peppering us with questions then," he said. "Every one of them has spent considerable time on this." TVA board Chairman Dennis Bottorff thanked the many speakers, from anti-nuclear activists and concerned citizens to northeast Alabama government and utility officials who supported the plant and the jobs it will bring. "It just shows how important this subject is," Bottorff said. "We do listen to what you say." Opponents of Bellefonte were disappointed. "This is a loss, certainly, but I don't think anybody is giving up," said Don Safer, board chairman of the Tennessee Environmental Council. Wenona Kuesh, Isabelle McCurdy, Sophie McCurdy and other anti-nuclear protesters march in front of the Market Street. TVA building to demonstrate against the proposed development of nuclear plants. Anti-nuclear activists and their families met in Miller Park to prepare for a zombie flash mob into the entrance of TVA in order to deliver a letter to Tom Kilgore regarding proposed nuclear plant. A handful of protesters, some costumed, stood outside during the meeting. TVA adopted a no-costume policy to keep protesters dressed as zombies from swamping the meeting as they did last month at the utility's headquarters in Chattanooga. Chris Irwin, an attorney with United Mountain Defense, wore a suit and painted his face to look like a zombie. Another protester wore a Santa Claus suit. Mark Homer, dressed as Benjamin Franklin, said TVA was denying the protesters' free speech rights by not allowing them inside in costumes. "I'm concerned about the nuclear waste. Nobody wants it. There's nothing to do with it," Homer said. United Mountain Defense activist Matt Landon wore a suit while addressing the board. He urged members not to approve Bellefonte's completion and took TVA to task for its no-costume policy. "But I'm sorry, when I was outside earlier I was bitten by a zombie so ...," he said. He rubbed his head and rumpled his hair to make it stand on end. Then he began to growl. He was escorted out of the meeting by TVA police.